This Holiday season will be especially crowded for games. 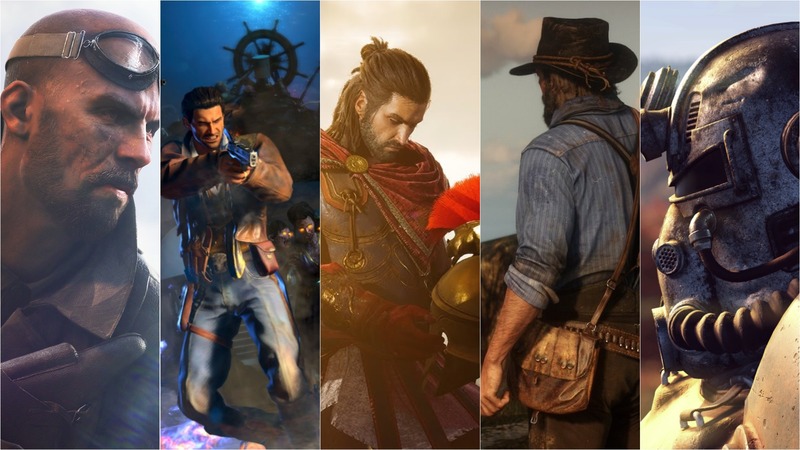 Five games in particular, all due between October and November, are predicted to break the ten million unit sold threshold, one for each major Western publisher: Call of Duty: Black Ops 4 for Activision(NASDAQ:ATVI), Red Dead Redemption 2 for Take-Two(NASDAQ:TTWO), Assassin’s Creed Odyssey for Ubisoft, Fallout 76 for Bethesda and Battlefield V for Electronic Arts(NASDAQ:EA). The analysts at Piper Jaffray (NYSE:PJC) have published a fresh report in which they surmise that Electronic Arts and its key title Battlefield V may be the ‘earthenware pot’ this time around. To reach this conclusion, they have conducted a survey of over 300 U.S. based gamers to find out which of these five games they were interested in playing the most. Battlefield V appeared at the bottom of this particular list, as you can see below. 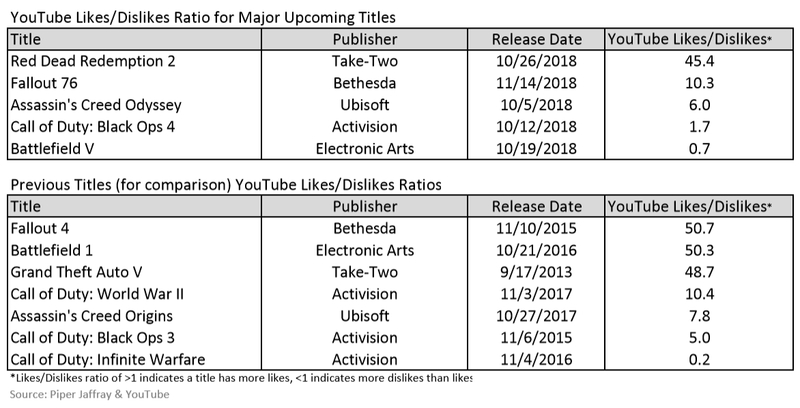 The report also includes a chart displaying the performance of those five games on YouTube when it comes to the like/dislike ratio. Once again, Battlefield V is at the bottom of this chart and it is also the only game in this midst with more dislikes than likes. Of course, these aren’t guarantees that the game will underperform, but the analysts believe strong early reviews would be needed to offset this initial disadvantage compared to the competitors. On a more general note, the report points out that quality titles will thrive despite the crowded schedule. In fact, 2015 also presented five big titles in that time frame: Halo 5, Call of Duty: Black Ops III, Star Wars Battlefront, Fallout 4 and Assassin’s Creed Syndicate. Taking Call of Duty as the example, Black Ops III grew year-over-year while the following year Infinite Warfare marked a nosedive in sales despite 2016’s schedule being considerably less busy. Assassin’s Creed Odyssey is the closest game to launch on the market, given its October 5th release date. Then we’ll have one release per week (Black Ops 4, Battlefield V, Red Dead Redemption 2 in this order) and a little break before Fallout 76, due on November 14th. We’ll have more on all these titles soon – stay tuned.